U.S. stocks traded high on Monday, following a vote in Crimea to join the Russian Federation which didn’t result in violence. 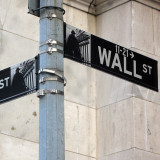 The Dow Jones industrial average rose 181.55 points or 1.13%, to 16,247.22, the S&P 500 added 17.7 points or 0.96%, to 1,858.83 and the NASDAQ Composite Index added 34.552 points or 0.81%, to 4,279.949. Technology sector SPLRCT and industrials sector SPLRCI both went up 1.3%. Google Inc. added 1.6% to $1,192.10 while General Electric Co. increased 1.3% to $25.43. Among top Dow Jones Industrial Average performers were IBM, up 1.92%, Boeing, up 1.86%, and 3M, also up 1.86%. Among the Dow Jones Industrial Average’s worst performers were McDonald’s, up 0.01%, Coca-Cola, up 0.21%, and Home Depot, up 0.25%. Data released today indicated that U.S. industrial production increased by 0.6% in February, above expectations for a 0.1% increase. Industrial production in January was revised to a 0.2% decline from a previously estimated 0.3% decline. In a second report, the Federal Reserve Bank of New York reported its Empire State manufacturing index increased to 5.6 this month from 4.5 in February, below expectations for an increase to 6.0. At the close of European trade, the EURO STOXX 50 rose 1.52%, France’s CAC 40 rose 1.32%, while Germany’s DAX 30 rose 1.37%. In the U.K., the FTSE 100 rose 0.62%.